A Note from Kelly King: While the majority of our readers are women, this article by Merritt Johnston is very applicable to pastors who want to be more engaging in communication with their female congregants. Just as God created us male and female uniquely, it’s important that communication styles for each gender be different. I’m excited to have Merritt guest write for us! Preparing to preach each Sunday can be a daunting task for any pastor, and carving out an engaging Sunday School lesson is no cake walk for teachers either. Those who have answered the call to “rightly divide the word of truth” feel a responsibility to share a message that is biblically sound and theologically accurate. However, we still run the risk of missing the mark if we fail to factor in our audience. Jesus Himself was both mindful of His audience and masterful in His ability to communicate in a way that resonated with His listeners. Therefore, we should be as intentional in our approach to both the content and the delivery of our messages. We should always consider our audience, and gender should be a factor in consideration. On any given Sunday, women comprise 60% of the congregation sitting expectantly in pews across America—hoping and waiting for truth to be taught in a way they can understand, relate to, and apply. In preparing to serve recently as a guest lecturer at a seminary, I conducted an informal survey of women, asking them to share how pastors and teachers can communicate effectively with them. The results were at times encouraging, and other times, convicting. 1. Meat over milk. Since their time is limited, women want to leverage every moment they have. They want to be challenged by the deeper things of God—to be driven to the Word in personal study long after the sermon ends. Raise the bar of expectations for biblical literacy and theological understanding in your congregation, and women will rise to meet it. 2. Principles over platitudes. Women have grown tired of the clichés. They are begging leaders to move beyond the rote and ritual of three points and a poem in order to deliver actionable instruction. Teach them the big idea of the passage and how God can help them live it out in their homes, neighborhoods, and workplaces. 1. Relational over factual. While men often engage around the facts, women resonate much more with the backstory. A “just the facts, ma’am” approach might connect with a woman’s mind, but it will be challenging for the message to make its way to her heart. Brainstorm ways to connect emotionally, and the message is much more likely to be remembered. 2. Humility over eloquence. In this era of photoshopped, “pinterest-worthy” fabrications, women are desperate for transparency. Women are much more likely to connect with communicators who are wiling to be real about their struggles as much as their successes. They care much more about the heart of the leader that is on display Monday through Saturday than they do about their vocabulary on Sunday. These principles are certainly not universal, but I do believe they represent the majority of evangelical women. I invite you to join us for the second article in this series that is coming soon as we unpack seven practical ways to apply these principles within your ministries. Merritt Johnston has been serving in full-time ministry since college when she co-founded a ministry for young women called SAGE Ministries. She has served on staff at several churches, including four years as the Director of Women’s Ministries at Lake Pointe Church. 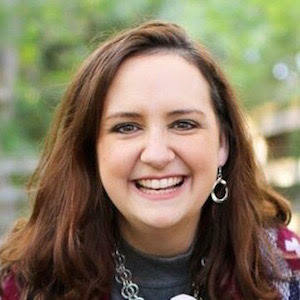 Merritt and her husband, Jeremy, make their home in Brenham, TX, where they are currently raising three rambunctious children (Josiah, Silas, and Jubilee) and two renegade dachshunds named Aidan and Adelaide.